There's a lot about being a grown-up that I'd give up--like spending money on hot water heaters and toilets and termite inspections, instead of things you can actually play with. One sizeable perk, though, is knowing that the cold, juicy watermelon that your child is looking forward to after a long day in the sun will be even more refreshing muddled with basil, tarted up with lime juice, and doused in vodka. 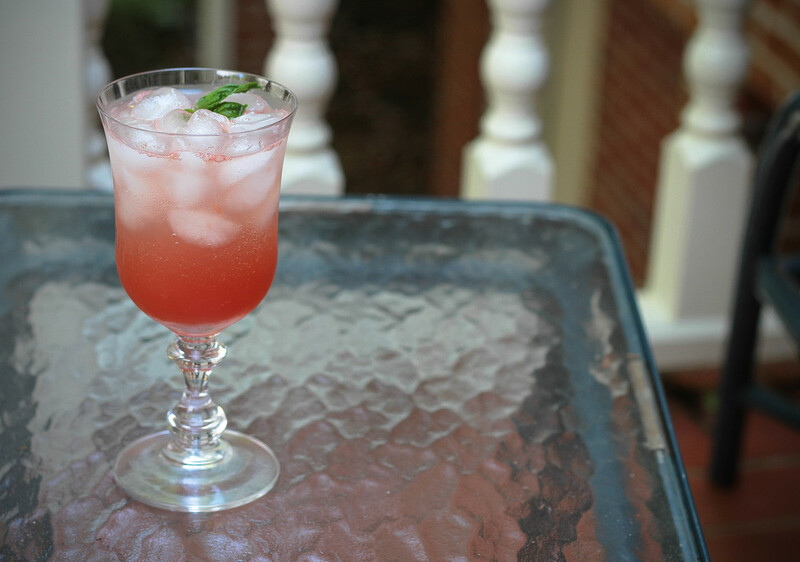 In a cocktail shaker, muddle the watermelon, basil leaves, and simple syrup. Add ice, the lime juice, and the vodka, and shake until you can't carry on. Strain into two ice-filled glasses, top with sparkling water, and garnish with basil sprigs. Give the second glass to another adult who feels your pain.